Four steroidal saponins were isolated from the fresh roots of Ophiopogon maglanthus. On the basis of chemical and spectroscopic analysis, they were proved to be iden-tical with prosapogenin A of diocin, deltonin, glycosied D and glycosied F, respectively.These saponins had ever been obtained from other species of Ophiopogon. Species nova O. tienensi Wang et Tang affinis, a quo foliis longioribus c.l0-20 cm longis, brevi--petiolatis, multinervibus, costa conspicua, bractea chartacea differt. Abstract This paper reports the numbers of chromosome and karyotypes in 18 specie of genus Ophiopogon, 1 species of Liriope, 1 of Peliosanthes. Among them, the karyotypes of 16 species are reported for the first time. The karyotype formulae are as follows. The genus Ophiopogon is usually referred to the tribe Ophiopogoneae of Convallariaceae. In the world, there are 62 species which mostly distribute in the tropical, subtropical regions of East and South Asia. Among them, 47 species occurring in China. On the basis of discussing the morphological characteristics of this genus, we have made an all-round analysis of various organs, and found the following characters to be useful in distin-guishing the taxa of Ophiopogoneae are: 1. the development of the inflorscence, and the length of stem; on the long stem with basal and cauline leaves, raceme always develops near the super leaves. While the stemless species form the scapes and racemes from the basal leaves. 2. the shapes of the leaves, from the elliptical, oblong foliage with petiole to the linear, sessile foliage. In this paper, 2 new taxa of the genus Tupistra Ker-Gawl. 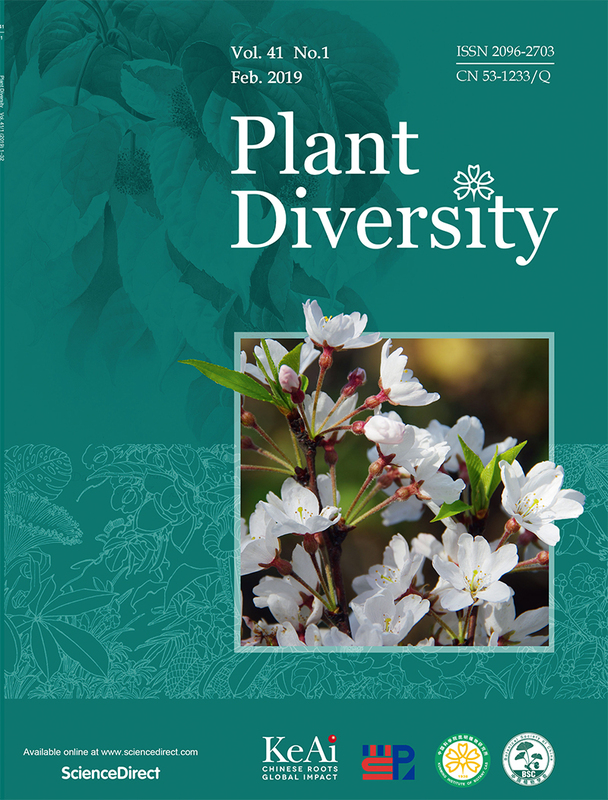 are reported and 4 viewpoints about the evolutionary trend within the genus are submitted as following: 1.Spe-cies with flowers of short styles and small stingmas lower than of as high as anthers is primitive while that of long styles and big stigmas higher than anthers is advanced; 2. Species with flow-ers without annuli in perianth tubes is more primitive than that with annuli; 3.Species with flowers of 1 bract each is more primitive than that of several bracts; 4. Karyotype evolves from symmetry to asymmetry then bimodal. This paper has dealt with the chromosome numbers and karyotypes of 4 species of the genus tupistra. It is found that all the species studied are diploids with chromosome num-ber 2n=38. The karyotype formula of T.annulata is 2n=2x= 38=34m(2SAT) +4sm,T. fimbriata2n=2x=38=30m+8sm,T.annulata 2n=2x=38=24m (6SAT) + 14sm andT.grandistigma 2n= 2x= 38= 20m+6sm+12st (2SAT) . The karyotypes of T.ensifolia, T. fimbriata, T. annulata are unimodal while the Karyotype of T. grandistigma is bimodal. T.grandistigma is a advanced species in the genus Tupistra. The present paper deals with the karyotypes of Chlorophytum malayense Ridley and Diuranthera major Hemsl. It is found that both of these 2 species are diploids with chromosome number 2n=56. The karyotype formula of Chlorophytum malayense Ridley is K(2n)=56=20m(2SAT)+23sm+13st, belonging to " 3C" of Stebbins' karyotypic symmetry, and that of Diuranthera major Hemsl. is K(2n)=56=20m+22sm+14st, belonging to "3C". It seems that Diuranthera Hemsl. is more advanced than Chlorophytum Ker-Gawl. 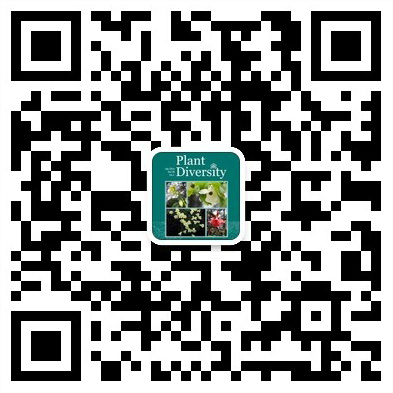 As a monotype genus belonging to Anthericaceae in Dahlgren's system (1985) and endemic in the southwest of China, Diuranthera has been taxnomically discussed. It is known that Diuranthera is morphologically close to Chlorophytum with more than 200 species. From the chemotaxonomic point of view, the chemical studies of D. major and C. malayense have been undertaken. Four new steroidal saponins, chloromalosides A-D, were isolated from C. malayense, and three new steroidal saponins, diuranthosides A-C, were obtained together with chloromaloside A (Figure 2). These saponins show very close resemblance in structure rela-tionship. Chloromaloside A as the major saponin exists in both of them. Moreover, the chemi-cal constituents of C. chinense and C. nepalense were detected on HPTLC by comparing with C. malayense and D. major (Figure 3). Species L. formosano Wallace simi1is, sad squamatis bulbi nodosis, differt. Lilieae include 5 genus, Cardiocrinum, Lilium, Notholirion, Nomocharis and Fritillaris in A.Takhtajan system. We observed seeds of 23 species in these five genus in three aspects, seed structure, seed coat structure and exotesta characte under SEM. There are rela-tive differences in embryo size and shape, cuticle layer on testa and the characte of exotesta under SEM. These differnces are important seed morphological features to divide these 5 ge-nus. According the seed morpgological features, specially the exotesta charates under SEM, we think 1.Cardiocrium, Lilium etc are independent genus respectively. 2.their seeds belong to same type, Lilieae is a unaffected tribe.3.for the similarity of exotesta cell, Lilium souliei may be Nomocharis souliei. Fourteen steroidal saponins were isolated from Asparagus filicinus Bush. -Ham., Agave sisalana Dong No 1, Chlorophytum malayense Ridley and Diuranthera major Hemsl., of which thirteen are new compounds. The structure elucidation of these saponins were achieved by a combination of chemical and spectral methods. The author of this paper has agreed with J.V. LaFrankie who transferred all species of Smilacina to Naianthemum. The genus Maianthemum comprises 35 species distributed in Eurasia and New World.After a thorouth analysis of all species of Maianthemum it can be found the following general evolutional tendencies in the development of this genus.